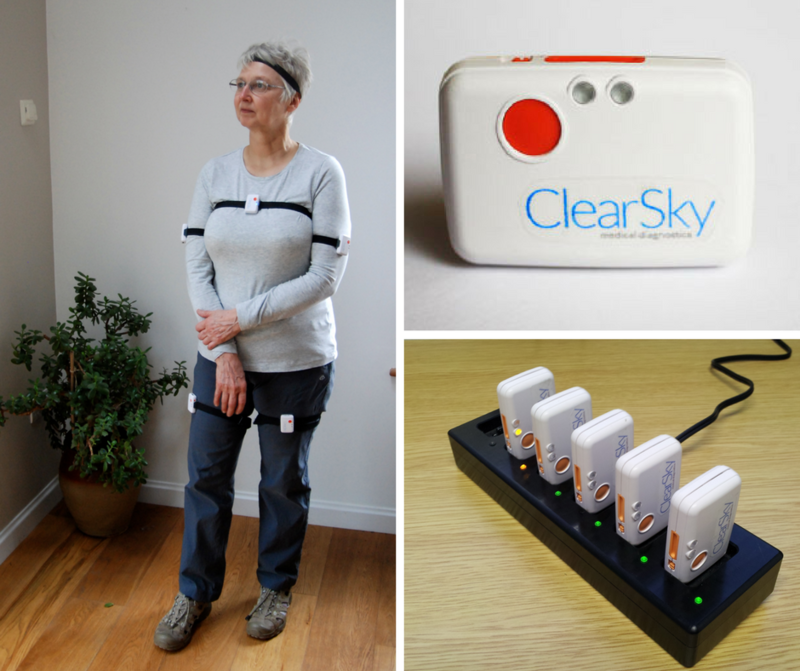 Six small wireless sensors are worn by a patient with known Parkinson’s around the home over periods of up to 24 hours. 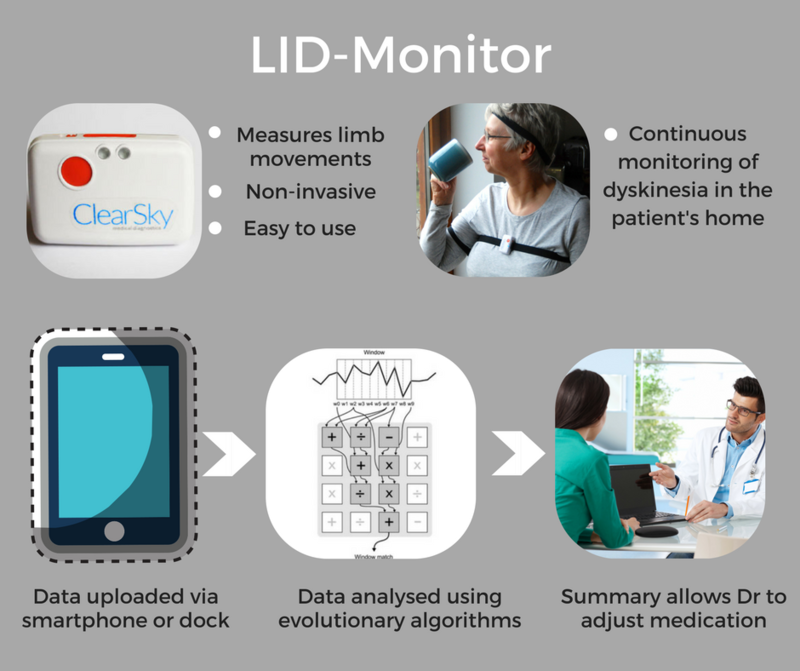 Movements associated with dyskinesia and the symptoms of Parkinson’s disease are recognised by the system and transmitted electronically to specialists in an easy to interpret graphical format. Dyskinesia refers to involuntary muscle movements, including twitches, jerks and restlessness, which can affect various parts of the body, such as the arms, legs and upper half of the body. Levodopa is one of the main drugs used to treat Parkinson’s symptoms. Many patients develop problems with dyskinesia as a result of taking it, known as Levodopa-induced dyskinesia (LID). It can fluctuate in severity throughout the day but may be reduced by altering medication regimen times and dosages.